For directions to the meetings, see the meeting description pages. 19 Nov 2016 WebSigCleveland.org - Web Development SIG: So Long, and Thanks for all the Free Web Development Training! 10 May 2014 General Meeting - Is There an App For that? 13 Oct 2012 General Meeting - Are We Losing This Generation’s Photos? 20 Jul 2012 Web SIG Cleveland - Attend Cleveland GiveCamp! 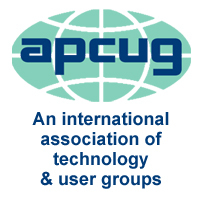 12 May 2012 General Meeting - Do You Know Your SATA From Your PCI? Don't Know TWAIN? 17 Dec 2011 Web SIG Cleveland - Can you steal the action of thinking? 12 Nov 2011 General Meeting - eBooks, Music & Movies - Free from the Library? Yes! 09 Jul 2011 General Meeting - Take It to the Cloud! 21 May 2011 Web SIG Cleveland - Usability Testing Basics: What's it All About? 16 Apr 2011 Web SIG Cleveland - Let's Talk About: getHIRED! 12 Mar 2011 General Meeting - LinkedIn: It's Not Who You Know . . . It's Who Who You Know Knows! 19 Feb 2011 Web SIG Cleveland - Web Forms Made Super Easy! 18 Dec 2010 Web SIG Cleveland - If It's for Free, It's for Me! 10 Oct 2009 General Meeting - Windows 7 - Worth the Upgrade? 09 May 2009 General Meeting - What Are You Searching For & Why Do You Get These Results?